Completely up to the developers. With E3 drawing closer each day, news and updates on major topics, such as the Xbox Scorpio, for instance, is coming in thick and fast. And now we have another update on the upcoming Xbox upgrade, and it’s pretty big. The Xbox One and the Xbox Scorpio will be part of the same ecosystem, playing the same games, so there’s been speculation that because of this reason, the Scorpio’s technology will be forcibly held back to stay in line with a four year old system. That, however, is not necessarily true, it’s now been confirmed. Mike Ybarra, corporate vice president of Microsoft’s Xbox division, has re-confirmed that developers making games on the Scorpio won’t have any requirements for for limiting framerate, resolution and fidelity placed on them, and that how they want to make use of the Scorpio’s hardware and capabilities will be entirely up to them. You don’t need us to tell you that this is really good news. 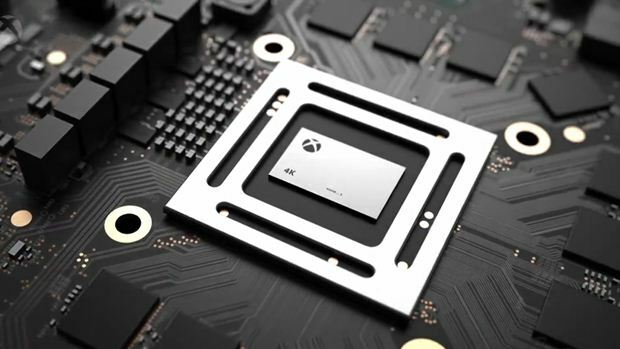 The prospect of seeing games that can freely and without any restrictions take full advantage of the Scorpio’s superior hardware is mouth-watering, to say the least. Stay tuned to GamingBolt for more updates.